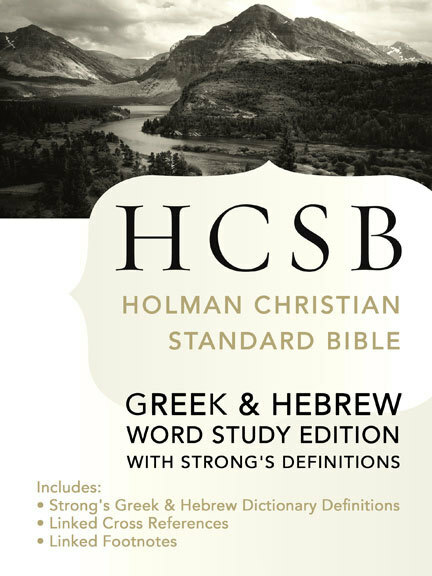 The popular Holman Christian Standard Bible (HCSB) is now available with Strong's Numbers, a powerful Bible study tool. Olive Tree's The Bible Study App makes Strong's numbers easy and powerful. Tap on a word or Strong's number in the text and open the related dictionary information in a new screen, split screen, or pop-up window, depending on your device and settings. Upgrade Pricing Available! If you've previously purchased a related product, like the HCSB you can purchase this item for a special upgrade price. The upgrade price will be visible when you log in to your Olive Tree account and add the item to your cart (NOTE: Upgrade pricing is only available on www.olivetree.com, and not via in-app purchase).